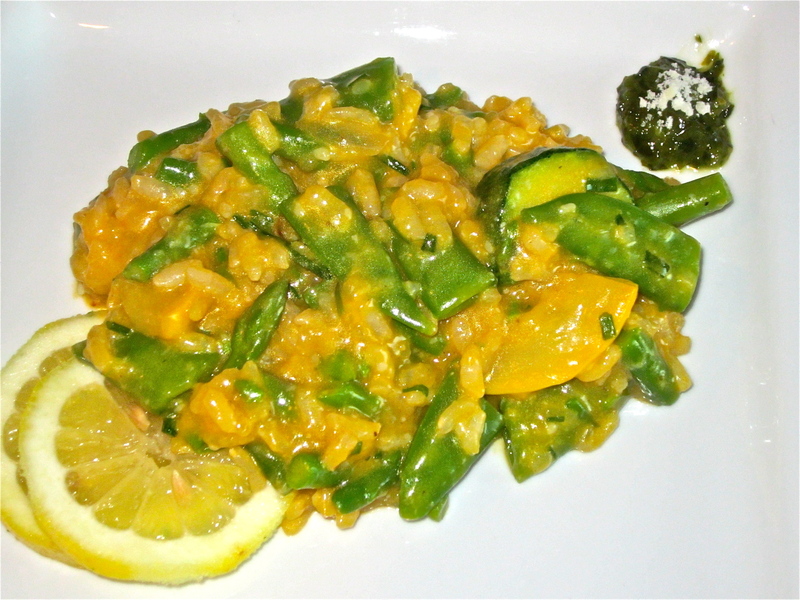 Thanks to my friend Elisa I was inspired to make Risotto last night for supper. I got this recipe from Cooking Light, I absolutely love their magazine! Next time I make this I would definitely do it on a weekend, it’s a lot of work. 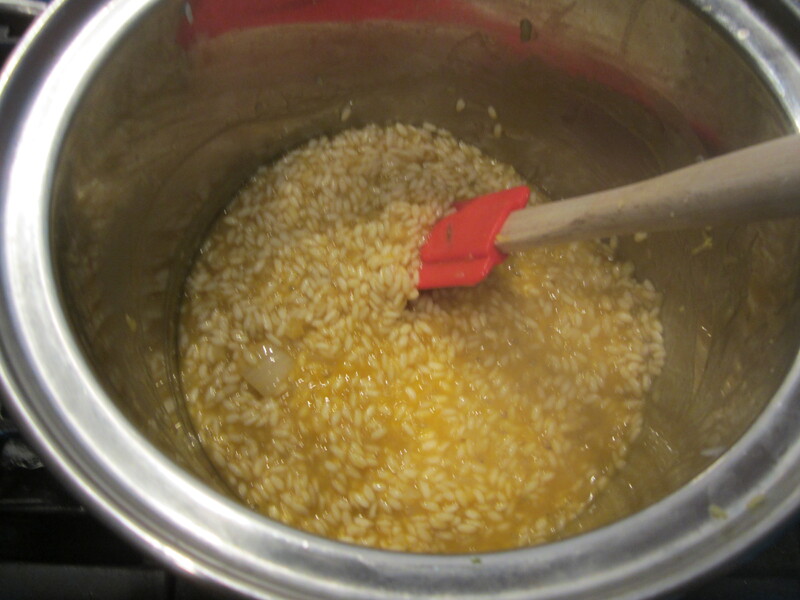 You have to constantly stir the risotto, and its about an hour of hands-on time, but it is so worth it! My boyfriend literally licked his plate. I also think this dish would be amazing with some lobster and scallops!! 1. Bring a large saucepan of water to a boil. Add asparagus and peas; cook for 3 minutes or until crisp-tender. Drain and rinse under cold water. 2. Heat a large nonstick skillet over medium-high heat. Add 2 teaspoons olive oil to pan; swirl to coat. 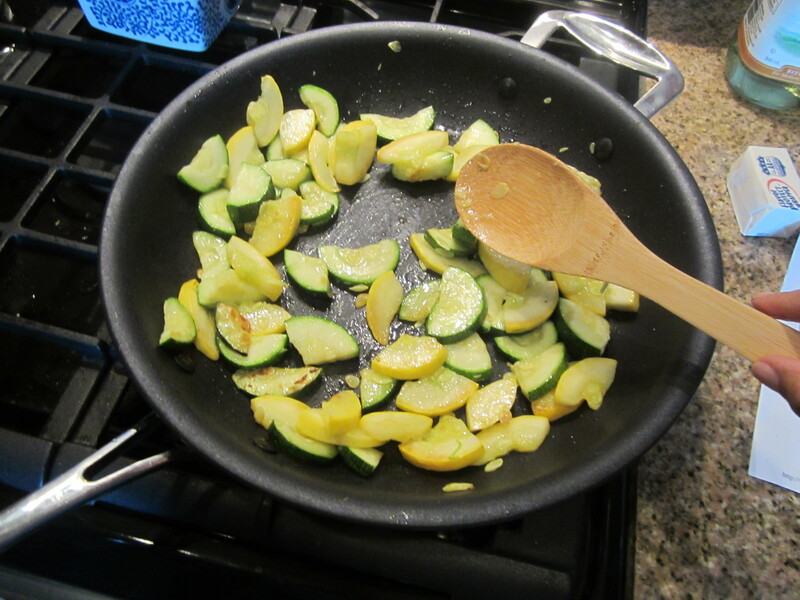 Add zucchini and squash to pan; cook for 7 minutes or until lightly browned, stirring occasionally. Set aside. 3. 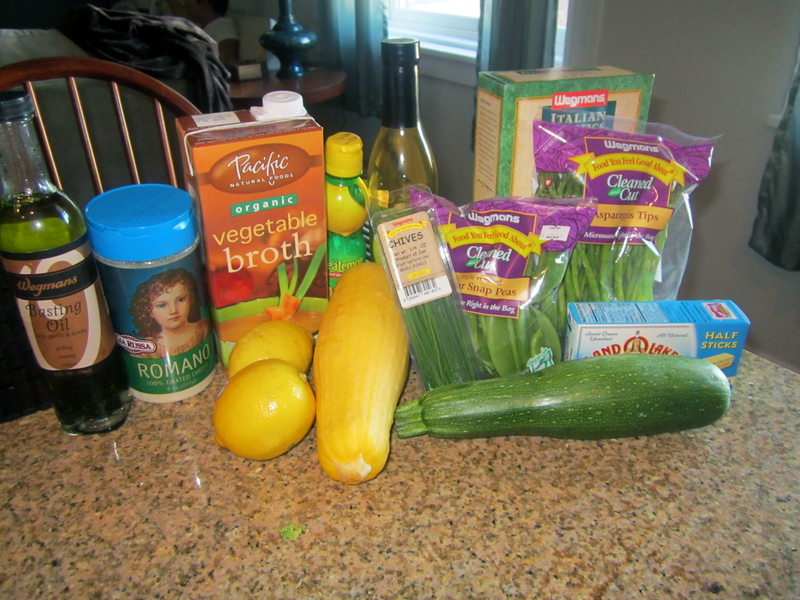 Bring vegetable broth to a simmer in a medium saucepan (do not boil). Keep warm over low heat. 4. Heat remaining 1 tablespoon olive oil in a Dutch oven (I used a large pot) over medium heat. Add shallots, and cook for 3 minutes or until tender. Stir in rice, and cook for 1 minute, stirring constantly. Stir in wine; cook until liquid is absorbed (about 30 seconds), stirring constantly. 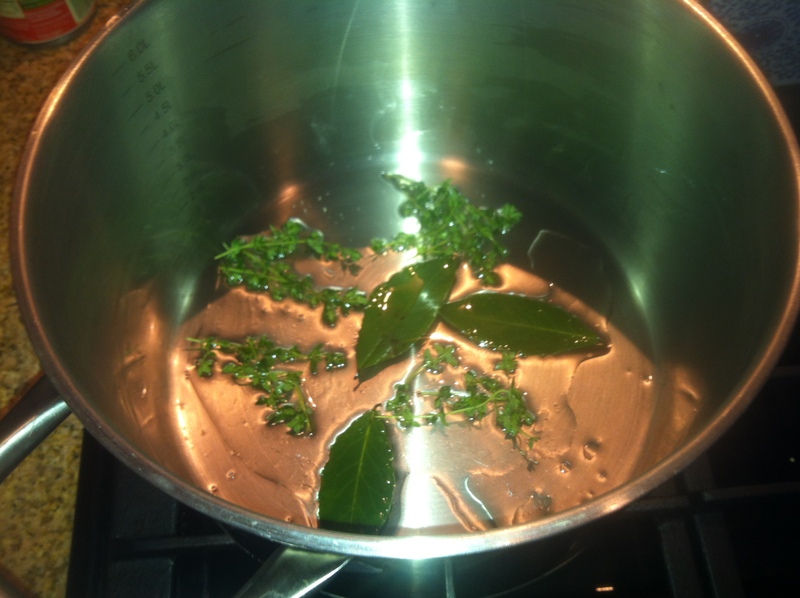 Stir in 1 cup broth; cook 5 minutes or until liquid is nearly absorbed, stirring constantly. Reserve 1/4 cup broth. Add remaining broth, 1/2 cup at a time, stirring constantly until each portion of broth is absorbed before adding the next (about 22 minutes total). 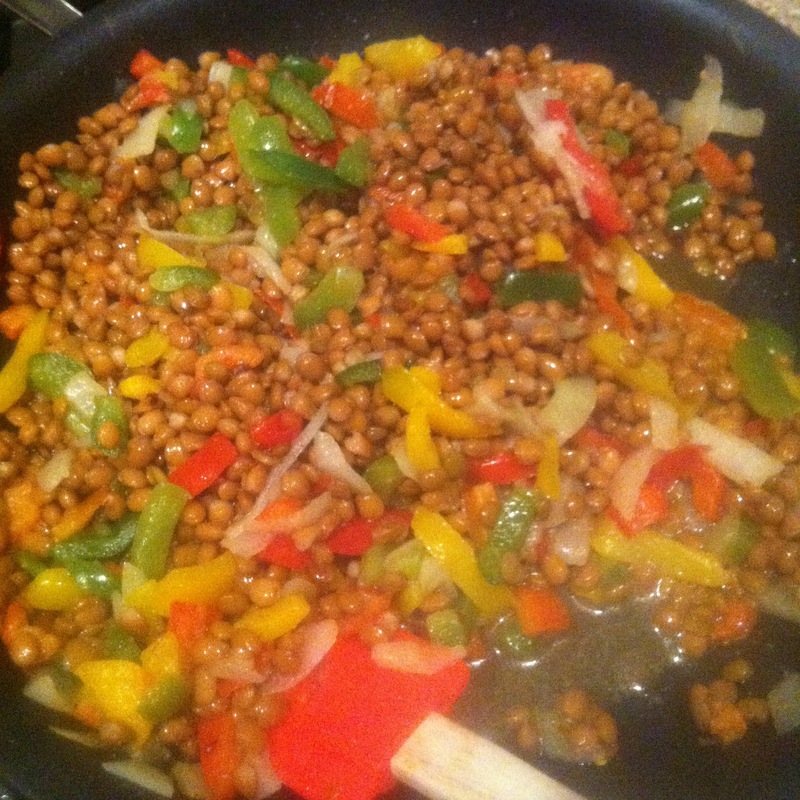 Stir in vegetables; cook 1 minute or until thoroughly heated. 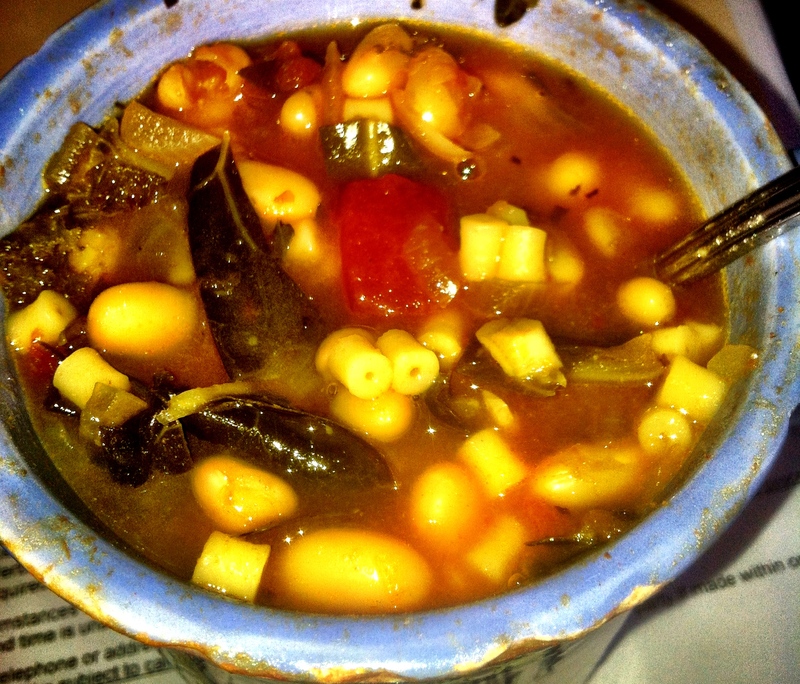 Remove from heat; stir in reserved 1/4 cup broth and remaining ingredients. Hey friends! It has been some quite some time since my last blog and for some reason or another I have been inspired to start back up! 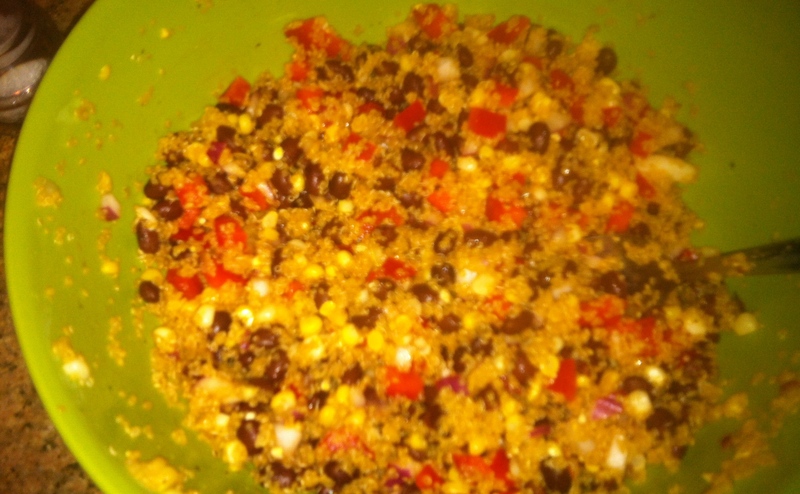 So this is a go to meal for my man and I- we make it about once a week, mainly because it is so cheap, healthy and easy! Put olive/canola oil in a skillet over medium heat and add frozen veggies, stir frequently. Add the cumin, garlic powder, cayenne pepper and salt and pepper. Stir well and let simmer over low heat for about 5-10 minutes to let the flavors combine! Side note: As far as spices go, I have never been one to actually measure out spices, make sure to continuously taste your food as you go. Rule of thumb: You can always add more but you can’t take back!